Apple delivers more than just a great phone: it’s the rush of holding the future in the palm of your hand. With Face ID, an edge-to-edge OLED display, and wireless charging, the iPhone X is Apple’s nod to the future of smartphones. This is it—the iPhone that longtime Apple users have been waiting for. The iPhone X brings back the thrill of the original iPhone, which was introduced 10 years ago. It breathes new life into the product line with an eye toward the future, while providing plenty of functionality for today. What makes the iPhone X exciting? First, there’s the TrueDepth camera, used for Face ID (Apple's new security feature), as well augmented reality. Then there’s the OLED display, which is so good looking, you may make the iPhone X your primary device to look at pictures and watch video. And last but not least, there’s the A11 Bionic processor, which brings the iPhone to a new level of performance. The iPhone X also has a bunch of other great features: new cameras, a bigger screen in a smaller form factor, and a new beautiful physical design. In all, the iPhone X is a remarkable achievement by Apple—and at $999 (64GB) and $1,149 (256GB), one that you’ll pay a pretty penny for. Let’s go over the main features of the iPhone X. I’ve ordered them according to what I think buyers will want to know about most. You can click on the table of contents links to skip around if there’s a feature you really want to get to. 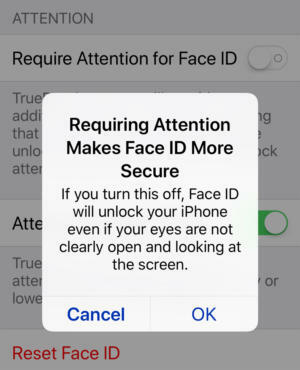 The iPhone X feature that’s gotten the most attention is Face ID, Apple’s technology for unlocking the iPhone X and authenticating your ID. It replaces Touch ID, Apple’s fingerprint technology that served the same purpose. I’m not going to dive into the details on how it works in this review, as we have a Face ID FAQ that covers that information. 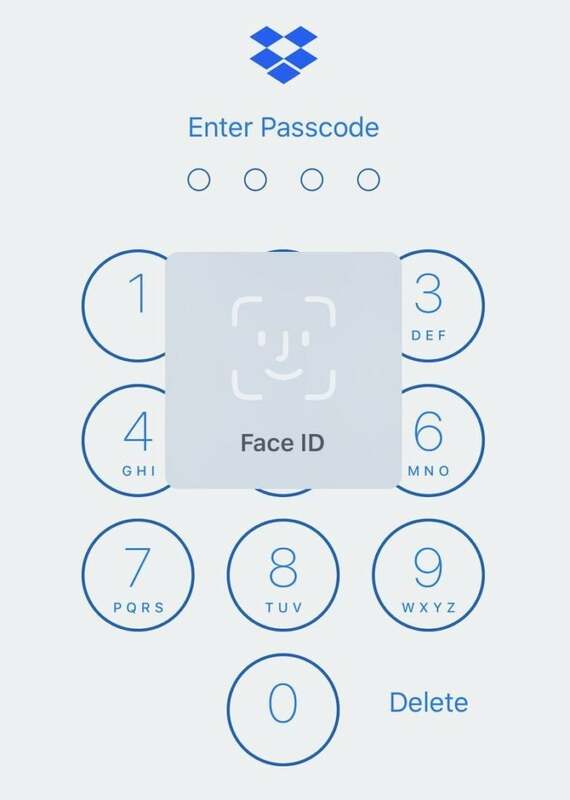 Setting up Face ID is easy. In a process similar to Touch ID, where the Home button records several impressions of your fingerprints, the Face ID setup has you move your head in different angles as the TrueDepth camera system records different spots on your face. It takes a few minutes, and then it’s ready to go. 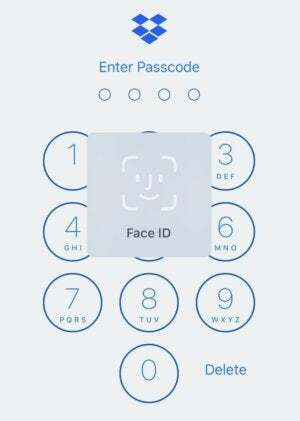 Face ID only allows a single person to register his or her face. Touch ID, conversely, allows you to register different fingers, which means you can register the fingerprints of other people who you want to have access to your device. This is handy if you’re OK with, say, your significant other having access to your iPhone. Maybe Face ID’s one-face limitation will change if Apple decides to use Face ID on the iPad, a device that’s more likely to have multiple users. 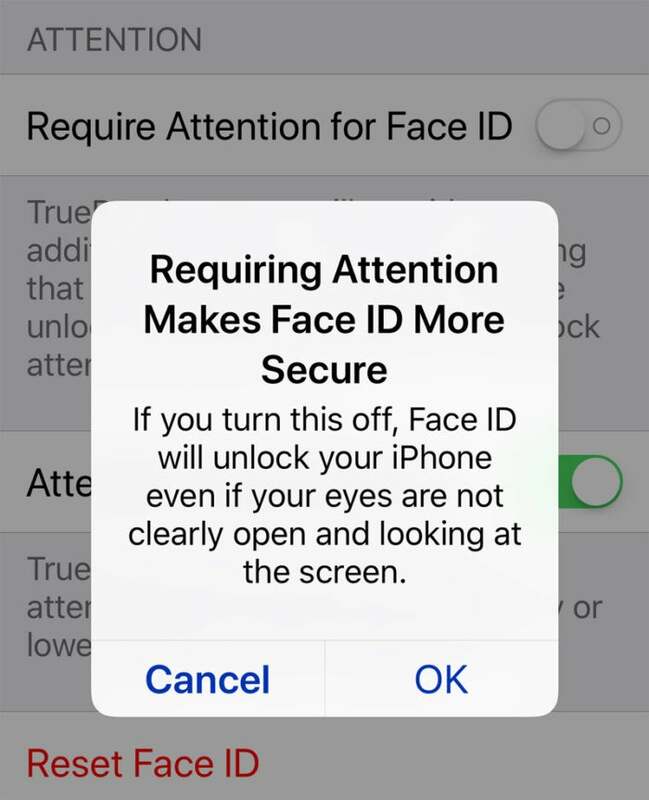 By default, Face ID requires your eyes to be open in order for it to work, But if you go into Settings > Face ID & Passcode and turn off the Require Attention for Face ID setting, Face ID will work when you have your eyes closed. I had some concerns about Face ID because Touch ID has become seamlessly integrated into how I use my iPhone. But as it turns out, there was nothing to be concerned about. In fact, Face ID actually delivers more seamless integration than Touch ID. When it works, Face ID works really well. At first, I had a tendency to wait for the lock icon on the screen to unlock, but the key is to not wait. You should swipe up to get to the Home screen as you’re looking at the iPhone X. It takes some practice, but before too long, unlocking the phone feels effortless. I’ve had conversations with Android users who’ve tried the iPhone X, and their main beef with Face ID is that it’s too slow compared to a fingerprint scanner. But in their limited time with the iPhone X, they’re not accessing the Home screen in the manner I described above—and since they’re not invested in the iPhone, they’re not willing to learn, either. It’s still true that access to the Home screen using Face ID isn’t as fast as using a fingerprint scanner, but it’s maybe a half-second slower at most. If that half-second is all the difference to you, then I hope you’re using that time wisely. Using Face ID with some third-party apps is done in a manner similar to that of Touch ID. For example, with the app for my bank and with Dropbox, the login screen appears, and then a Face ID icon appears, and then the app unlocks. It’s really no different than how Touch ID was implemented in those two apps, thus, it’s no more convenient. 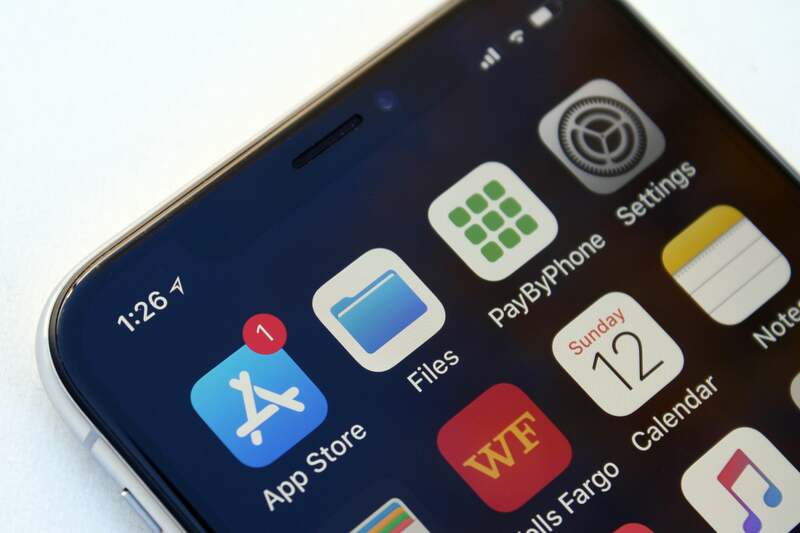 Third-party apps like Dropbox have updated its apps with Face ID support. 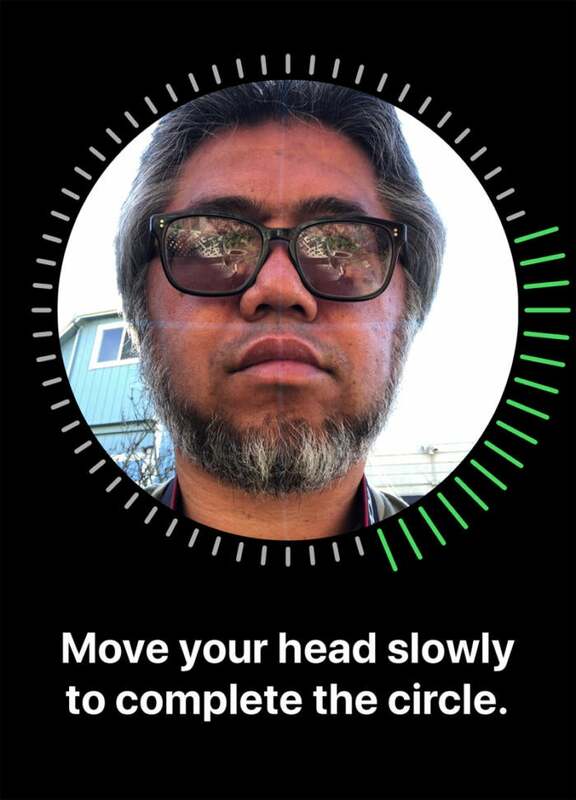 Face ID has a certain viewing angle you need to be within to work, which is where I have a very minor issue with the technology. I try to keep my personal correspondence on my iPhone when I’m using my work laptop, and the iPhone X lays on my desk to the side. When I get a text, I can see it on the iPhone’s lock screen. On the iPhone 6s Plus, I use Touch ID to unlock my iPhone while it’s still at my side. But with the iPhone X, my face is out of range of the TrueDepth Camera. The solution to this minor issue: Move the iPhone X in a new location so it’s within range of my face. I have also found that Face ID works when the iPhone X is in my car mount, which is attached to an air vent to the right of the steering wheel. Apple is very confident in Face ID’s security, stating that it’s much more secure that Touch ID. Many other publications have tried to see if they can trick Face ID, with their results matching what Apple has said: that twins can bypass Face ID. Since I don’t have access to twins, I didn’t test this, but Face ID wasn’t fooled when I tried to have my two sons access the iPhone X. A recent Wired story says that hackers have been able to crack Face ID by creating a mask, which essentially means that a nefarious person needs to pull off some Mission: Impossible-type antics. Likelihood of this happening to you? I’d say almost nil. Apple has said a lot about how it believes augmented reality is going to be a big deal, and we’ve seen AR apps, like Ikea, The Machines, and AR MeasureKit. There are even rumors of Apple working on an AR wearable. The TrueDepth camera will have a big role in AR, and Apple demonstrated how it can be used with its recent release of Clips 2.0. Clips uses the TrueDepth camera so it can filter out background objects for its Selfie Scene feature, and the app can use you in the foreground for a virtual scene. Other than some issues with clipping your foreground image, the Selfie Scene implementation works quite well. Expect to see a lot of fun and innovative apps that use the TrueDepth camera coming soon in the App Store. The other feature that demands your attention is the iPhone X’s screen. It’s the first iPhone with an organic light-emitting diode (OLED) display. It’s also the biggest iPhone display, measuring 5.8 inches diagonal. I can’t emphasize enough how much I love the iPhone X’s screen. I can say it’s gorgeous, but that feels like an understatement. The colors are rich and pop, text looks clean and sharp, and the black is so deep that I actually find it mesmerizing. I’ve seen lots of screens that don’t look black—more like a 98 percent gray—and as stupid as it sounds, I like to gaze at the black gap on the second page of my Home screen. This is the best screen I’ve seen on an iPhone. With black wallpaper (included in the iPhone X), you barely notice the notch. OLEDs are currently susceptible to burn-in, the effect where you can see a shadow of an image when something else is on screen. This was evident in Google’s Pixel 2 phone, which also uses an OLED. Apple has even stated in a knowledgebase article that burn-in on the iPhone X’s display is “expected behavior” and that the company has done what it can to minimize burn-in. I haven’t noticed it in the nearly two weeks since I’ve had the iPhone X, but it is something I’ll keep an eye on and will update this review accordingly should anything change. When first using the iPhone X, I had to get over the false impression that the iPhone X’s screen is smaller than what I’m used to on the iPhone 6s Plus. Based on diagonal measurement (the standard used for screens, TVs, computer displays, etc. ), the iPhone X is bigger (5.8 inches) than the iPhone 6s Plus (5.5 inches, the same as the iPhone 7s Plus and the iPhone 8 Plus). The iPhone X’s screen is a slightly narrower, though, and noticeably taller. Overall, it’s a bigger screen. But it’s not the screen that gave me the impression that the iPhone X’s is smaller. It’s the bezel on the Plus iPhones. The black border on the Plus iPhones, even though they aren’t part of the screen, unconsciously became part of the screen in my head. It took me a few days to clear this psychological hurdle (or optical illusion, if you will). While showing the iPhone X to other people, some of them also were fooled into thinking that the iPhone X’s screen is smaller, so I think this could be a phenomenon experienced by many new iPhone X owners. The notch does get in the way when watching a full-screen video. 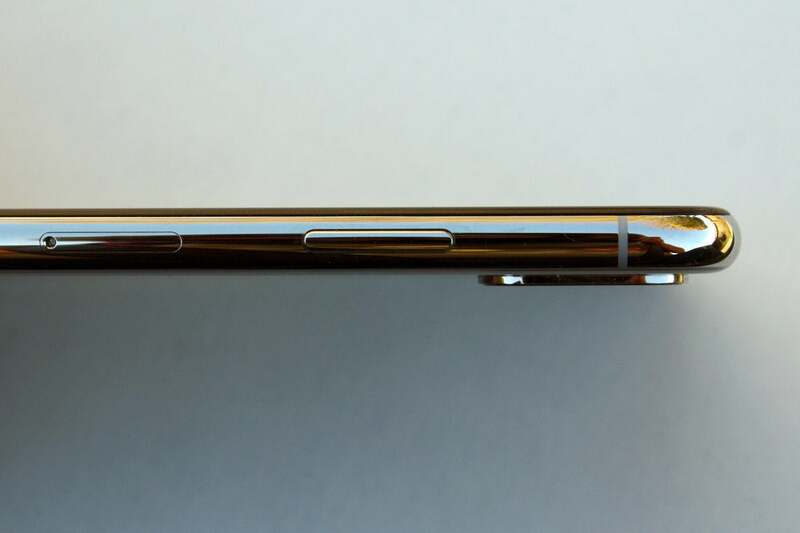 In this video, a person is obscured by the notch. You have the option of resizing the video so that the picture avoids the notch. Apple had to come up with a new set of gestures to make up for the lack of a Home button on the iPhone X. I learned these new gestures quickly—you use them a lot, so if you need “practice” for the muscle memory to kick it, you’ll get it. We have a complete list of the new gestures you’ll need to learn. Most of them are simple, like swipe up from the bottom to get to the Home screen, or swipe down from the top of the display’s right side to get to Control Center. Speaking of the Control Center swipe, it’s the one new gesture I don’t like—you really need to reach to the top of the screen area next to the notch, and this requires more effort than the previous Control Center gesture (swipe up from the bottom of the screen, which works on the iPhone 8 and older iPhones). To use the Flashlight or Camera from the lock screen, you perform a hard press on each button, similar to a 3D Touch. The iPhone X’s lock screen has two quick access buttons—one for the flashlight, and another for the camera. They’re easy to get to at the bottom of the screen, but simply tapping each button doesn’t activate it. You need to do a hard press, like you do for 3D Touch. 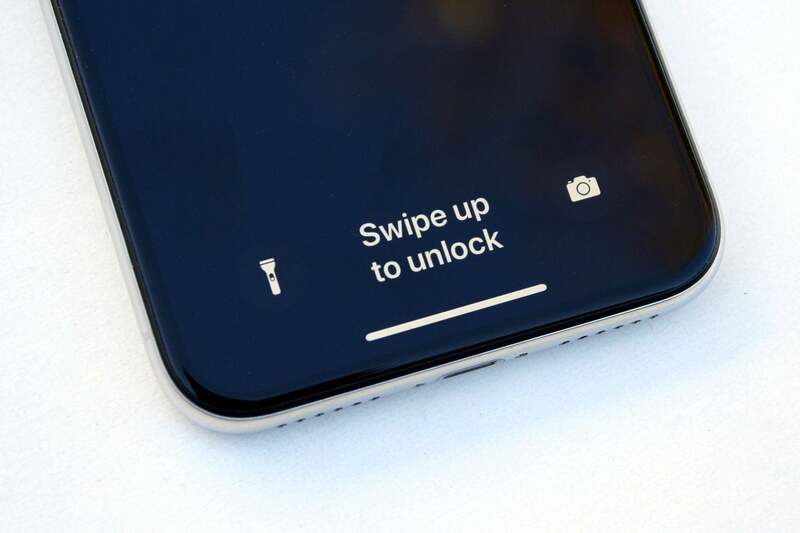 A hard press is necessary, because you don’t want these buttons activating while in your pocket, and these lock screen functions don’t require Face ID verification to work. But there’s nothing in the included documentation that tells you how to use these buttons. People’s tolerances for interface changes varies, and I can see how someone would absolutely hate not having a Home button. If you’re one of those people, then the iPhone X is not for you. But keep in mind, the Home button is probably not in the iPhone’s long-term plans. It could be five or six years before we see Apple completely abandon the Home button, but it will happen eventually. The iPhone X’s rear camera has a 12-megapixels dual lens camera with a ƒ/1.8 wide-angle aperture, ƒ/2.4 telephoto aperture, optical zoom, 10x digital zoom, and optical image stabilization on both lenses. The pictures from the iPhone X are excellent, with vibrant colors and great sharpness. The iPhone X seems better at handling a wide array of lighting situations compared to other iPhones I’ve used in the past. As someone who has no skill at adjusting camera settings and prefers to rely on automatic settings, the iPhone X produces results that make me very happy. Shot with no flash at 1x zoom. Click to enlarge. Landscape shot at night, no flash, 1x zoom. Click to enlarge. The camera feature that I really want is the optical image stabilization on both lenses. My lack of a steady hand (or my heavy-handedness with pushing the shutter) often results in jitter that creates blur, and I found that with the iPhone X, I had more good pictures than blurry, unacceptable ones. The iPhone X comes with the new Portrait Lighting mode, a special camera mode that applies different lighting effects to portraits. (On the iPhone X, this feature is available on both the front and rear cameras.) 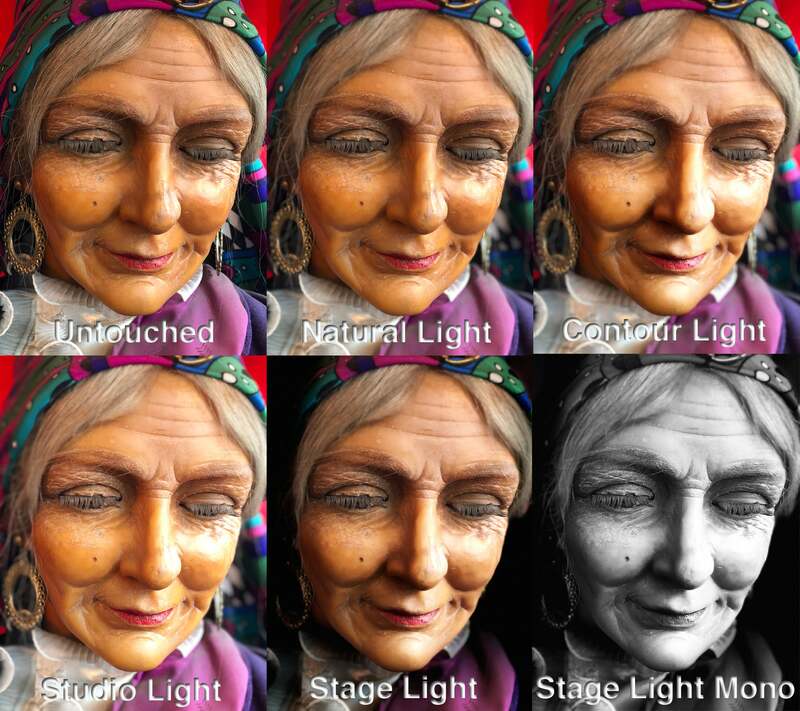 The results you’ll get with Portrait Lighting are mixed. I found that the Natural Light setting worked the best, producing even results and nice bokeh. Contour Light and Studio Light seemed to create hot spots depending on the angle of your subject, but emphasized different detail elements to change the emotion of a picture. Two of the Portrait Lighting modes, Stage Light and Stage Light Mono, are just…well, I’ll say that I’m not going to use them. The pictures I took using these settings—as well as a vast majority of the pictures I’ve seen from other people—look cheesy, and they’d be used as examples of bad image editing. Apple decided to label Portrait Lighting mode as beta, seemingly as an excuse for the mixed results, so let’s hope we see improvements in the near future. Portait Lighting mode on the iPhone X can be hit or miss. Click to enlarge. The rear camera is capable of shooting 4K video at 24 frames per second, 30 fps, or 60 fps. Shooting 4K video at 60 fps feels overindulgent, and if you have only 64GB of storage, it’s probably a setting you will seldom use. But gosh, it looks so buttery smooth and the detail is amazing. If you have a 4K TV and love shooting your own videos, 4K at 60 fps is the reason why you need to get 256GB of storage. If you don’t want to shoot any kind of 4K video, you’ll be happy with the 1080p and 720p video from the iPhone X. My favorite new feature of the video camera is the Super Slo-mo mode, which captures video at 240 fps at 1080p resolution. It’s another space-hogging camera mode, but it’s oh-so-fun. Speaking of fun, I have to mention the new Animoji, since they’re exclusive to the iPhone X (for now). Animoji uses the TrueDepth camera to sync your head and facial movements to an animated emoji. You’ve surely seen them all over the internet, and it’s guaranteed to make you laugh. You can learn more in our Animoji FAQ. The iPhone X sports Apple’s new A11 Bionic processor, a 64-bit six-core beast. It has a pair of performance cores that Apple says are 25 percent faster than its predecessor, the A10 Fusion. And Apple says the A11 Bionic’s four efficiency cores are 70 percent faster. We used the Geekbench 4 app ($1) to get an idea of the speed of the A11 Bionic in the iPhone X.
Geekbench 4 CPU test. Longer bars/higher scores are better. Obviously, the A11 Bionic is faster than the A10 Fusion, but what’s of note here—and not surprising—is that the iPhone X essentially performs the same as the iPhone 8 and iPhone 8 Plus. These three phones have the same processor, so if all you want in a new iPhone is faster performance and you could not care less about new features like Face ID or the cameras, get an iPhone 8 and save some serious cash. Overall, the iPhone X feels like a snappy phone when launching apps, unlocking the phone, playing videos (streaming and stored on the iPhone), and other tasks. When I tried doing simple video edits in iMovie, or when I created a short video in Clips, the iPhone X rolled along smoothly, though the higher the resolution of the video, the more performance was hit—but never to a point where I was left frustrated. No one performs only a single task on their phone. When was the last time you spent a day using your iPhone just for phone calls? What’s important is whether or not you can get through a day on a single battery charge, using your phone for different tasks. And the more power you have left on your phone at the end of the day, the better. The day I decided to keep a close eye on battery life was a particularly busy day for the iPhone X. I used the phone for email, texts, and a phone call of five minutes. I looked up a recipe on the internet, tracked my fantasy football team throughout the day, and got driving directions for a 30-minute trip through downtown San Francisco. I shot 129 photos and 9 short videos, and uploaded them via Wi-Fi to my Dropbox account. I watched a couple of streaming YouTube videos (one over Wi-Fi, the other over LTE) for a total of about 30 minutes. And at the end of the day, I took my dog for a walk for over an hour and played Pokémon Go (which is a battery killer). After all that, the iPhone X’s battery life was at 52 percent—before I went on my Pokémon Go dog walk, the battery was at 71 percent. Typically, I’m not this busy with my phone, so I can get through a working day without worrying about charging the iPhone X. Of course, your mileage may vary. With the 2017 iPhones, Apple decided to go back to a glass front and back. The main reason for this is so that the phone can support wireless charging. The iPhone X works with wireless chargers that adhere to the Qi standard. The back of the iPhone X uses glass to allow for wireless charging. I don’t have a wireless charger to work with the iPhone X, and frankly, I think wireless charging is overrated. Sure, it’s convenient; just place the iPhone X on the charging pad (if it’s in a non-metal case, you can keep it on), and that’s it, the pad does all the work and charges the phone. Of course, you have to place the iPhone X properly; if it’s slightly off to the side, it won’t charge. To me, it’s not that much of an effort to plug a Lightning cable into the iPhone X. And you have to pay extra for a wireless charger, whereas the iPhone X comes with a 5-watt adapter and a Lightning cable. Finally, there’s no speed advantage (as of yet) to using a wireless charger. But hey, just because it’s not something I’m interested in doesn’t mean it’s not right for you. I just don’t see wireless charging as something you need to think about when deciding if you want to buy an iPhone X or not. 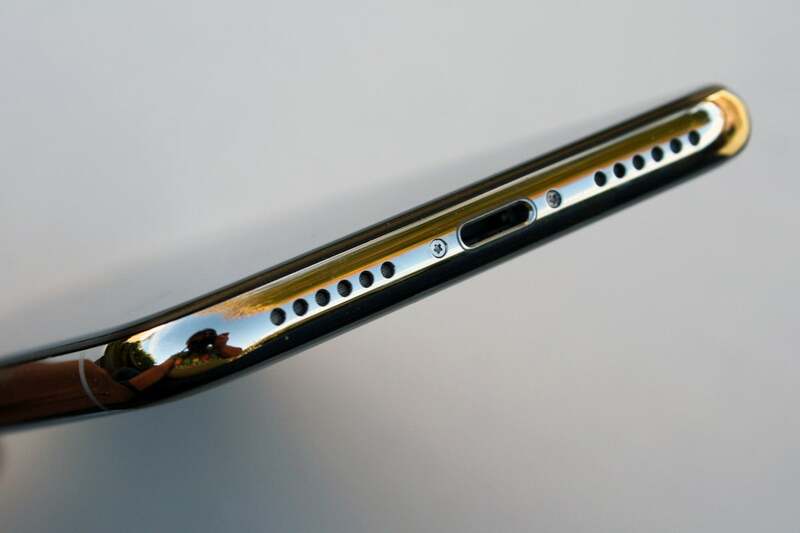 Did you really think Apple was going to include a headphone jack? The back of the iPhone X, like other iPhones, is still saddled with a camera bump. As I mentioned earlier, I often use my iPhone by my side when I’m on my work computer, and the phone can’t lay flat on its back, rocking in a teeter-totter motion when I tap on the screen. Fortunately, the case I use provides enough thickness to compensate for the camera bump and let the iPhone X lie flat. 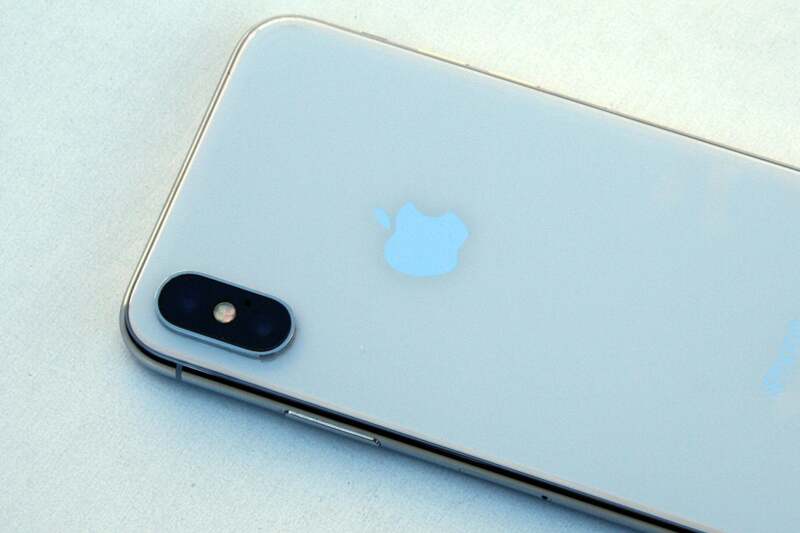 But it sure would be nice if the bump went away, either by advancements in camera technology, or by making the iPhone thicker (maybe add more battery?). 2017 marks the tenth anniversary of the iPhone. What I remember most about the first iPhone was my sense of astonishment. Sure, it had its flaws, but I felt like I was holding the future of computing in the palm of my hand. However, with each new generation of iPhones introduced, I started to feel less and less like the iPhone was a harbinger. The new features felt more like incremental steps that helped solve a current problem than giant leaps that made you wonder what incomprehensible thing will be unleashed. That’s not to say that those iPhones were bad products; on the contrary, they were great. But they weren’t inspirational. And now we have the iPhone X, and that sense of astonishment and inspiration is back, for me. That’s mostly because of the TrueDepth camera and the A11 Bionic—AR development could really take off, and it’s going to be fun to see what comes of it. Other features, like the spectacular quality of the OLED screen, the bigger screen in a smaller footprint, and the cameras, complete the package. All of this comes at a big price—the iPhone X is the most expensive phone Apple has ever made. Is it worth it? If you simply want a great tool for the job, you’ll probably be fine with the iPhone 8. But if you are a true iPhone fan, or you like the idea that the future is in your hand, you need the iPhone X.